During the day, screens look good—they''''re designed to look like the sun. But, at 9PM, 10PM, or 3AM, you probably shouldn''''t be looking at the sun. 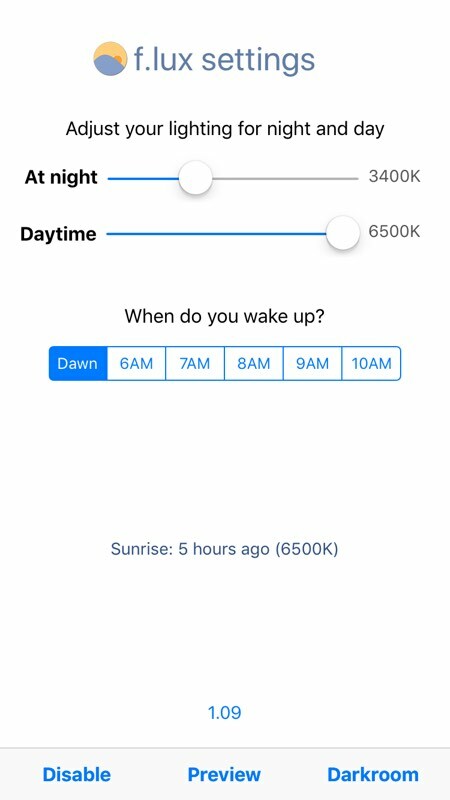 f.lux fixes this: it makes the color of your iPhone''''s display adapt to the time of day, warm at night and like sunlight during the day. It''''s even possible that you''''re staying up too late because of your iPhone. You could use f.lux because it makes you sleep better, or you could just use it just because it makes your iPhone look better.